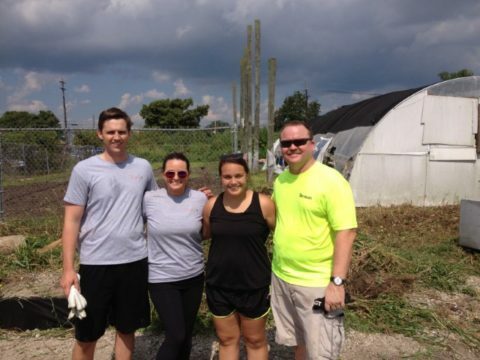 The New Orleans office participated in the K10 Day of Service this summer, a citywide initiative. The August date marked Hurricane Katrina’s 10-year anniversary. Teamed with a local architect firm, the Terracon group volunteered at Our School of Blair Grocery, an independent alternative school and sustainability education center based in the Lower Ninth Ward. Fifty volunteers toured the facility, planted, weeded, composted, relocated the goats to a new pin, reorganized items in the main building, and more.